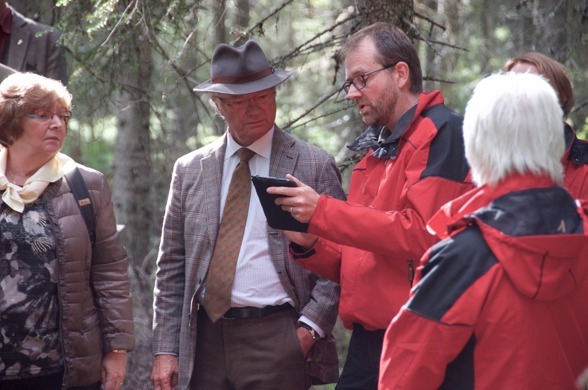 H.M. King Carl XVI Gustaf visited Vindeln and Umeå September 1-2. 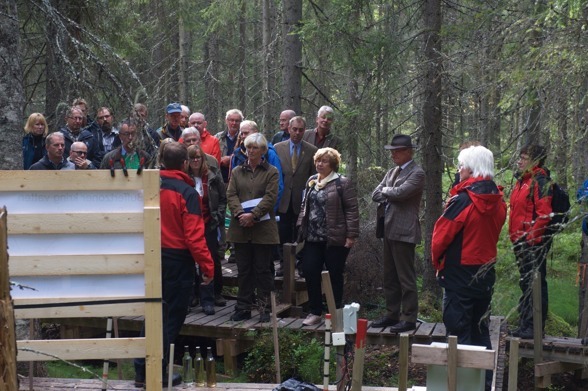 The King participated in an excursion arranged by the research program of Future Forests. Future Forests is a cross-discipline research program between researchers at Umeå University, the Forestry Research Institute of Sweden and SLU, where SLU act as host. Several questions addressed in the program has been applied to areas and experiments managed by Svartberget and Asa research stations.